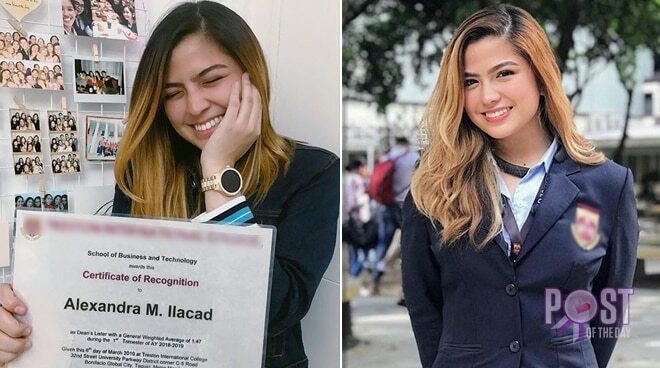 After garnering an average of 1.47 during her first trimester at the Treston International College, Alexa Ilacad proudly shared her certificate of recognition awarded earlier this month for her academic efforts. She wrote, "Sharing this proud moment of mine because it may not happen again! 🏻 Your girl's a dean lister!! Hard work (and continuous prayer) really does pay off. 🥰 Nice one, self!" Alexa is currently a freshman at Treston's School of Business and Technology. She graduated high school from the same college last year.